WHAT IS A WORLD’S FAIR? 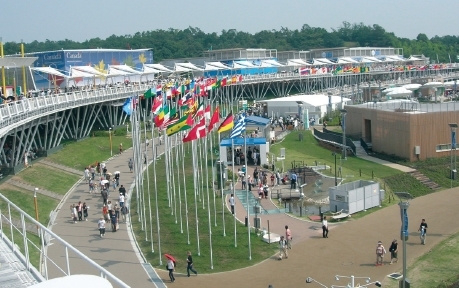 A world’s fair is a gathering of people from many parts of the world, at which they demonstrate their products and their arts, and promote their homelands. This sort of thing has been going on since ancient times, when traders would hold occasional encampments at central crossroads, and entertainers would find a ready, festive-minded audience. The modern string of world’s fairs began in the middle of the nineteenth century, when the industrial revolution was flourishing. WHAT’S THE DIFFERENCE BETWEEN A WORLD’S FAIR AND AN EXPO? The nomenclature associated with world’s fairs has varied over time. The term “world’s fair” is precise, unpretentious and historically meaningful. 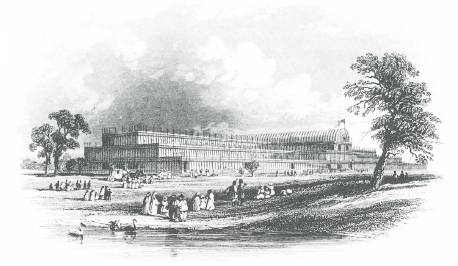 The poet Tennyson referred to the Great Exhibition of 1851 as “the world’s great fair,” and british essay writer and the exhibition was popularly and widely referred to as “the world’s fair.” The term “expo” came into full use in Montreal with Expo 67. At the present time, “world expo” and “international expo” are in considerable favor. Whatever the rage, they’re all still world’s fairs. WHO DECIDES WHERE WORLD’S FAIRS ARE HELD? Located in Paris, the Bureau of International Expositions (BIE) was formed in 1928 by thirty-one nations determined to limit the number of world’s fairs. Without sensible controls, a nation was subject to the seemingly modest tribute exacted by another nation on behalf of any expo it might choose to stage; but a string of such tributes could become a drain on the treasury. So the idea was that any country that joined the BIE would agree only to participate in BIE-sanctioned expos, and would have to tell other supplicants—the “unofficial” expos—to look elsewhere. The 1928 convention and subsequent amendments have not been famous for ironclad effectiveness, however, because a rulebook administered by a small agency can’t cope with countries determined to hold fairs. But without the BIE, which in 2015 claimed 168 member nations, there would be many more expos, and more irresponsibly managed ones. HOW OFTEN ARE WORLD’S FAIRS HELD? The BIE (see above) “registers” expos or “recognizes” them. A registered expo, which the agency now calls a “world expo,” may occur once every five years. A recognized expo, a world’s fair of limited duration, may occur once between the registered expos. It is to be known forevermore as a mere “international expo.” Thus, registered expos took place in 2005, 2010 and 2015, and Dubai is registered for 2020. Recognized expos occurred in 2008 and 2012, and Astana, Kazakhstan, has been sanctioned for 2017. To complicate matters, nations have been known to exert political pressure on the BIE to violate its own rules and register additional events, which helps explain the cornucopia of world’s fairs that occurred in the 1980s (five, all told). Other thematic exhibitions are held without BIE sanction, and may achieve the status of world’s fairs—for example, the New York World’s Fair of 1964-65. Adding further complexity the BIE, working with the International Association of Horticultural Producers (AIPH), takes it upon itself to recognize international horticultural exhibitions, which can occur every 2 years (every 10 years in one country). WHICH EXPOS BELONG IN THE HALL OF FAME? 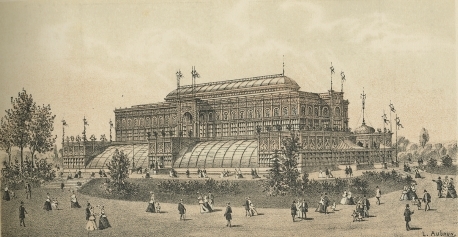 In The Great Exhibitions, the late John Allwood identified seventeen “major events,” namely the fairs held in London, 1851; Paris, 1855; London, 1862; Paris, 1867; Vienna, 1873; Philadelphia, 1876; Paris, 1878; Paris, 1889; Chicago, 1893; Paris, 1900; St. Louis, 1904; San Francisco, 1915; Paris, 1937; New York, 1939-40; Brussels, 1958; Montreal, 1967, and Osaka, 1970. Of the fairs that have appeared since Allwood produced his checklist, probably only the Seville expo of 1992 and Expo 2010 in Shanghai were of sufficient size and quality to merit being considered among the great expos. Without clearly distinguishing between major and less-than-major events, John E. Findling and Kimberly D. Pelle in the Encyclopedia of World’s Fairs and Expositions, published in 2008, find 106 fairs worthy of treatment in the text and identify 249 also-rans. World’s fair enthusiasts may argue about which fairs belong in the A, B or C category, but it’s clear that of the many dozens of world’s fairs, less than two dozen have been major ones. Expo 2010 Shanghai, the largest fair ever held, covered some 1,300 acres. The St. Louis fair in 1904, sprawled across more than 1,000 acres. WHICH INVENTIONS FIRST APPEARED AT WORLD’S FAIRS? World’s fairs have introduced many products and services to large audiences. The list of “firsts” includes the Colt revolver and the McCormick reaper (London, 1851); the elevator (Dublin, 1853); the sewing machine (Paris, 1855); the calculating machine (London, 1862); the telephone (Philadelphia, 1876); outdoor electric lighting (Paris, 1878); the Eiffel Tower, the gas-powered auto (Paris, 1889); the Ferris wheel (Chicago, 1893); motion pictures (Paris, 1900); controlled flight, the wireless telegraph, the ice-cream cone (St. Louis, 1904); Kodachrome photos, stunt flying (San Francisco, 1915); television (New York, 1939); atomic energy: model of a cyclotron (San Francisco, 1939); computer technology, fax machines (New York, 1964); moon rocks (Osaka, 1970); advances in robotics (Tsukuba, 1985); large-scale outdoor air conditioning (Seville, 1992); new energy-efficient transit, green building techniques (Aichi, 2005; also Shanghai, 2010).